One of the lemur infants was robust and began nursing right away, but sadly, the other one looked weak and seemed unable to suckle. Vets gave fluids, warmed the weak infant and tried to get it to latch onto the mom, but to no avail. Houston Zoo staff members administered care overnight and fed it every hour and a half. Unfortunately, the infant died the next morning. Mortality in the zoo is high for lemurs, around 50%. 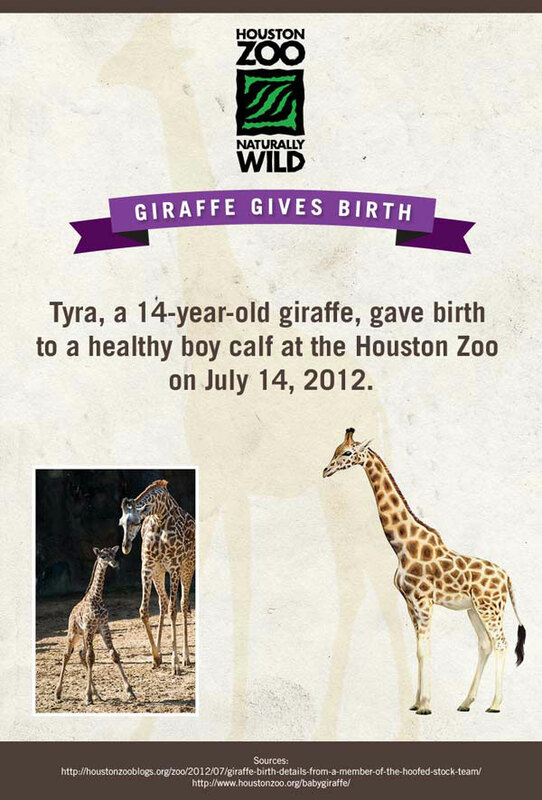 At 6-feet, 3-inches tall, the baby giraffe stood on his own 45 minutes after he was born. He weighed 163 pounds at the time of his birth. The proud "first-time" father, Mtembei, is 5 years old. Mom and her calf spent some time off exhibit for the first couple of days to allow them time to bond. They have since been introduced to the rest of the giraffe herd and ostriches, and continue to be on exhibit daily at the Houston Zoo. That's right, a bongo. 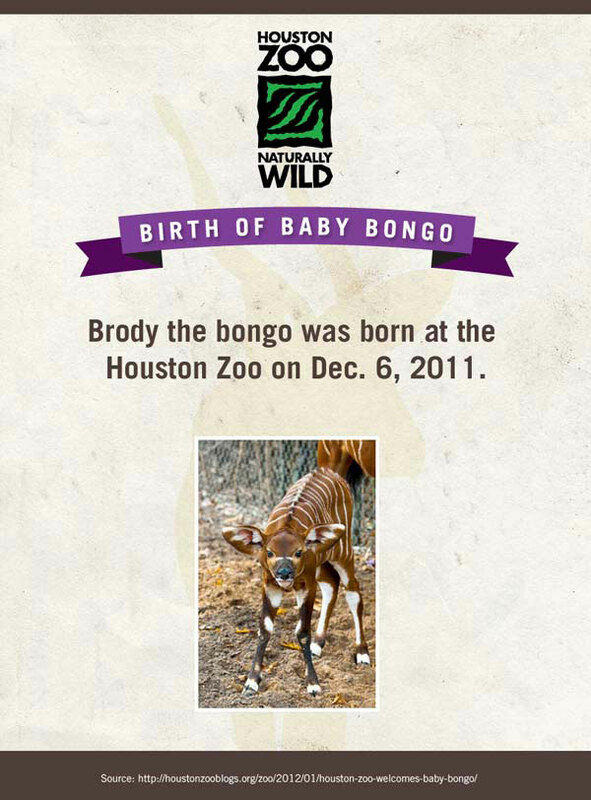 Bongos are among the largest of the African forest antelope. Brody weighed 40 pounds at birth and 5 weeks later shot up to over 92 pounds. He can be seen every day (weather permitting) on exhibit with his 3-year-old mom Penelope. His favorite resting and napping spot is in the right-hand corner of the exhibit. Aurora was the third orangutan born at the Houston Zoo. She is the sister of 7-year-old Solaris and the daughter of Doc. 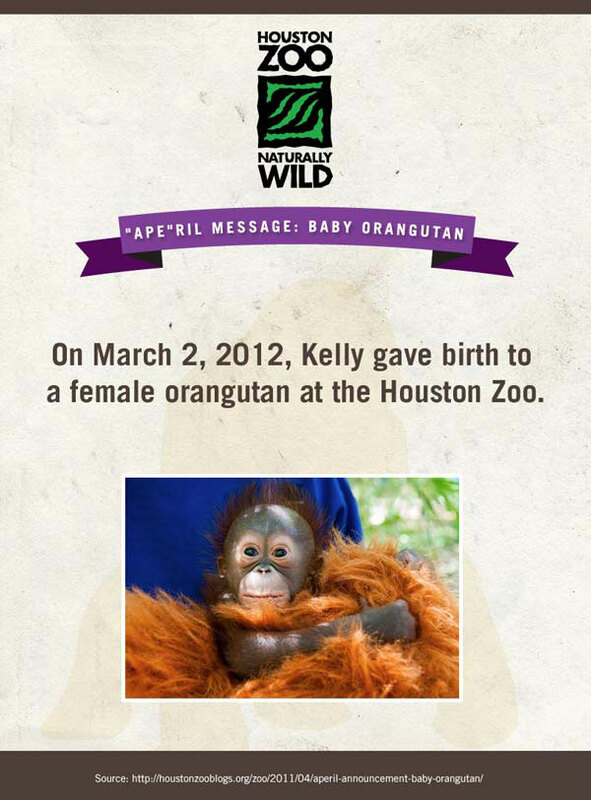 Unfortunately, her mom, Kelly, abandoned her within the first 24 hours, and the primate staff was forced to intervene. Staff spent the days following Aurora's birth attempting to give the baby back to Kelly with no success. 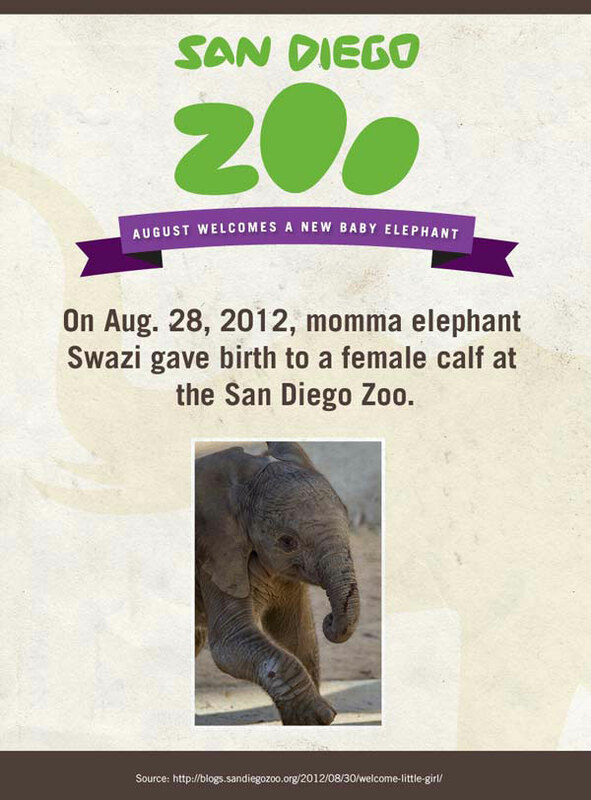 But today, Aurora is thriving at the zoo. The calf, Qinisa, stood up 15 minutes after being born. Qinisa is a Siswati word that means to act with energy, act determinedly, fulfill one's word, or speak the truth. Her name is very fitting, as Qinisa has developed the fastest out of the 12 calves born to the herd of African elephants at the Safari Park. At only one week old, she was sucking water into her trunk and using it to pick up objects like sticks. 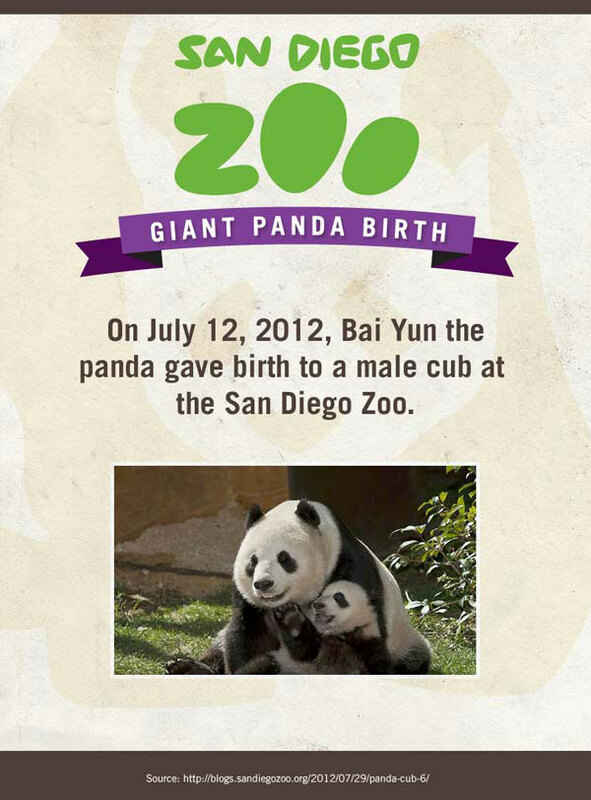 Bai Yun has given birth to 6 giant panda cubs. The newest cutie weighed 4.9 pounds (2.26 kilograms) and was 16 inches (42 centimeters) long. Bai Yun recently started taking her boy out of the den and into her attached bedroom area while she eats bamboo, so don't be alarmed if you check in on Panda Cam and find the den empty. She'll return him soon. The Woodland Park Zoo leopard triplets were born to 7-year-old Helen and 6-year-old Tom. The male cub did not survive his turbulent first weeks. Unfortunately, Woodland Park Zoo had to make the difficult but humane decision to euthanize the male cub after they determined that the little guy had multiple severe heart defects that were causing early heart failure. All three cubs were born with eye and eyelid defects, known as multiple ocular coloboma, and sisters Asha and Shanti are each blind in their right eye. The zoo teamed up with Dr. Tom Sullivan, the zoo's volunteer veterinary ophthalmologist with the Animal Eye Clinic, to perform a series of surgeries to help create more functional eyelids for the cubs. Asha and Shanti remained behind the scenes in an offview exhibit with their mother for weeks while receiving special veterinary care for their impaired vision. Woodland Park Zoo keepers and vet staff assessed the cubs' visual function on a day-to-day basis as the pair grew and explored their surroundings. The cubs are now on view and doing great! On August 16, the male snow leopard cubs at Rosamond Gifford Zoo made their public debut. Parents Zena and Senge are young and will probably produce more litters in the future. Snow leopards are part of a Special Survival Plan, a collaborative effort by members of the Association of Zoos and Aquariums around the world to help ensure their survival. It is estimated that there are between 4,000 and 6,500 snow leopards left in the wild. There are currently 137 snow leopards in 63 zoos in the United States. 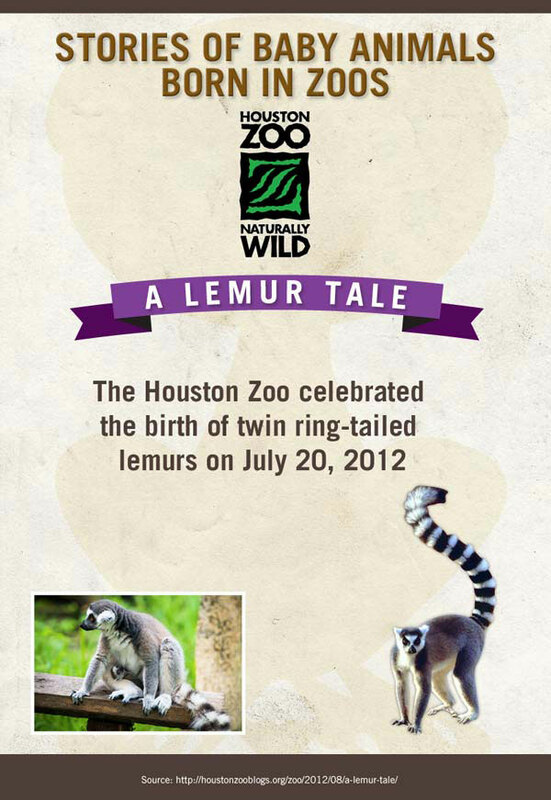 The cubs – one male and one female – were named Sohni (female) and Sanjiv (male). 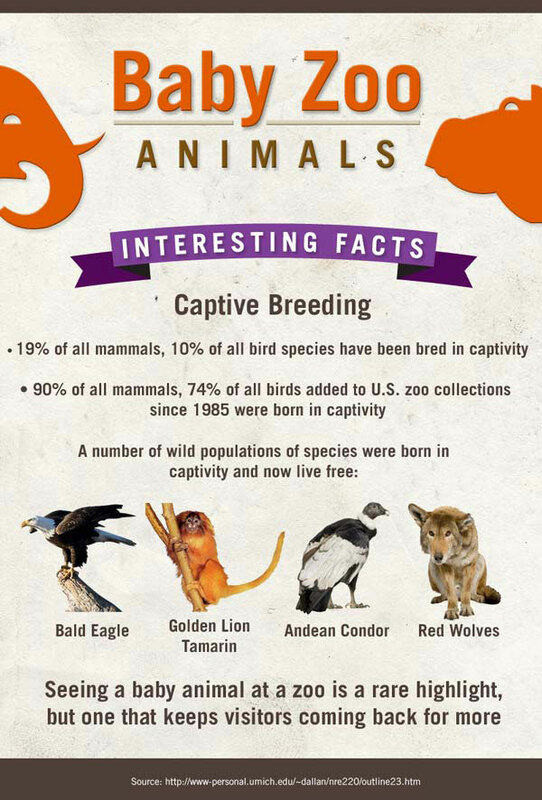 The cubs' sexes were determined during a veterinary checkup on August 17, 2011. 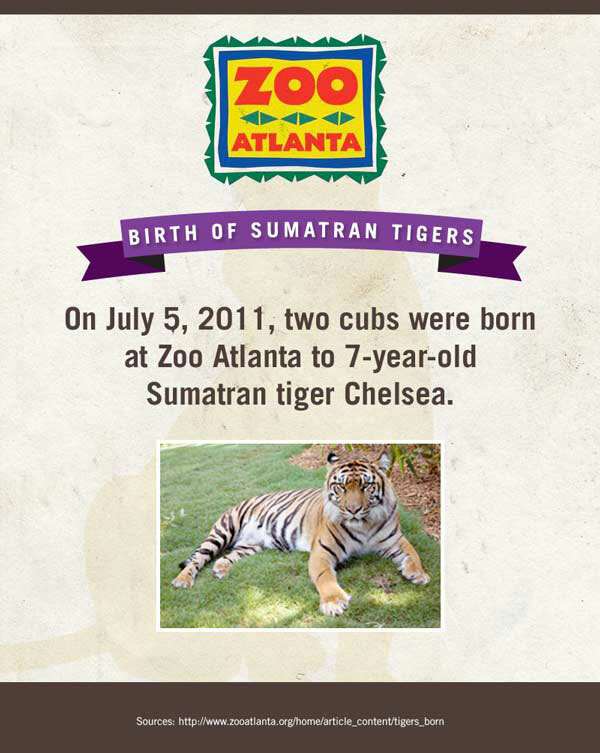 The monikers were selected by Zoo Atlanta donor and former Board of Directors member Larry Westbrook, who named the cubs for his grandchildren. Sohni (SOHnee) means "beautiful," while Sanjiv (SahnJEEV) has a number of meanings, among them "love," "long life," and "reviving." The cubs were given brief physical exams on August 17, along with their first vaccinations. Sanjiv weighed 12.25 pounds; his slightly smaller sister weighed 10.84 pounds. In early September, the cubs made their debut to the world. They were the first Sumatran tiger cubs born at Zoo Atlanta in more than a decade. Unfortunately, one of of Robin's triplets at Zoo Atlanta didn't survive, but happily the other two are thriving. Robin gives proper care to her babies, and Theo, her mate, also acts as a primary caregiver. While Tamarins (and the closely related marmosets) are the only primates that normally have twins, Clare gave birth to just one baby at Toronto Zoo. Even so, it's a family affair, and she has plenty of help; in addition to Dad, Clare's mom, Rosalie, is sharing her maternal wisdom. 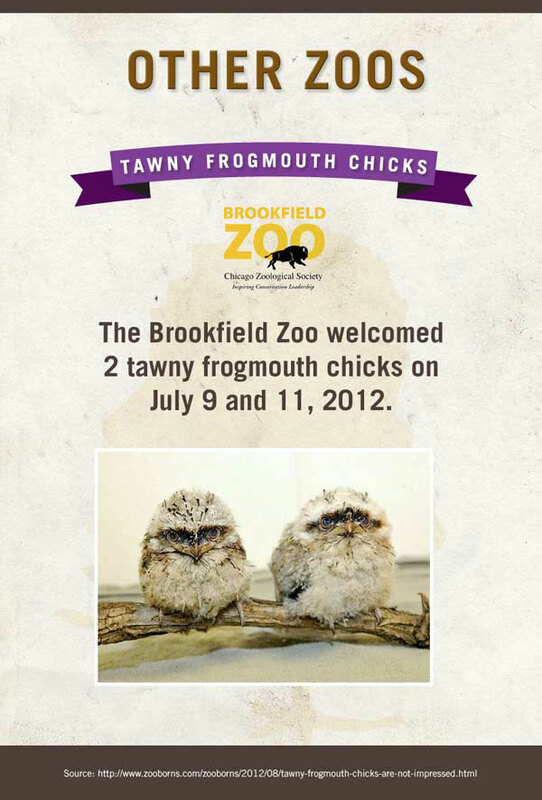 The two Toronto Zoo chicks were named Chupa and Matata. They are the second and third Penguins born at the zoo in 18 years. Penguins returned to the Toronto Zoo last May after being absent since 1993. One of the three gentoo chicks at the Tennessee Aquarium was born to Poncho and Peep - quite a surprise since, at 20, Peep is the oldest penguin at the aquarium and had only ever produced infertile eggs in the past. For unknown reasons, the chicks' parents abandoned the nest about halfway through incubation. 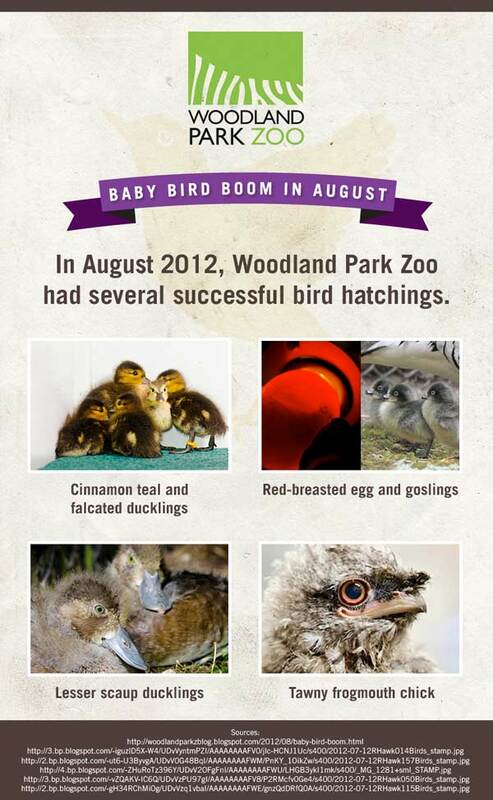 To give the unborn chicks a chance at life, the Brookfield Zoo staff pulled the eggs and placed them in an incubator. The chicks are doing well today. The mother, Joannie, who was rescued from a Florida river, gave birth to the full-term, 66.8-pound manatee calf. He has been growing at the rate of approximately 10 pounds per week. 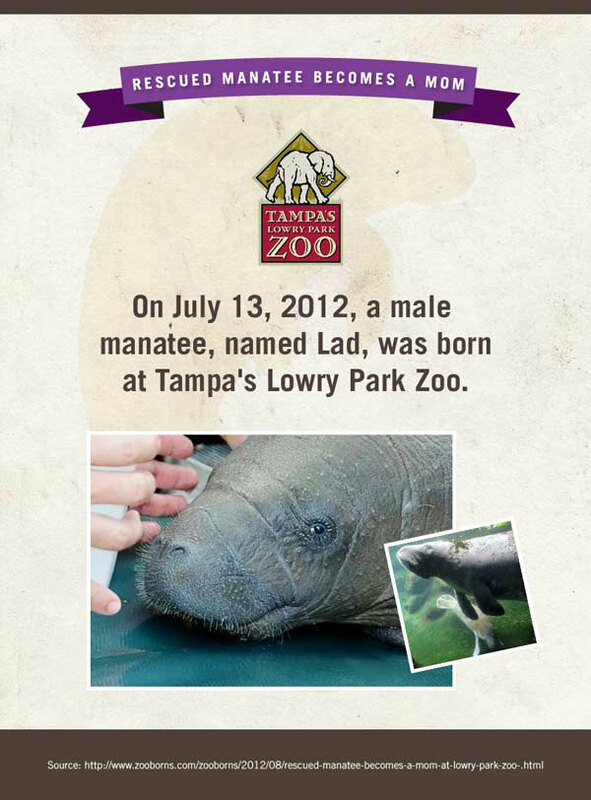 Full-grown manatees weigh between 800 and 1200 pounds. 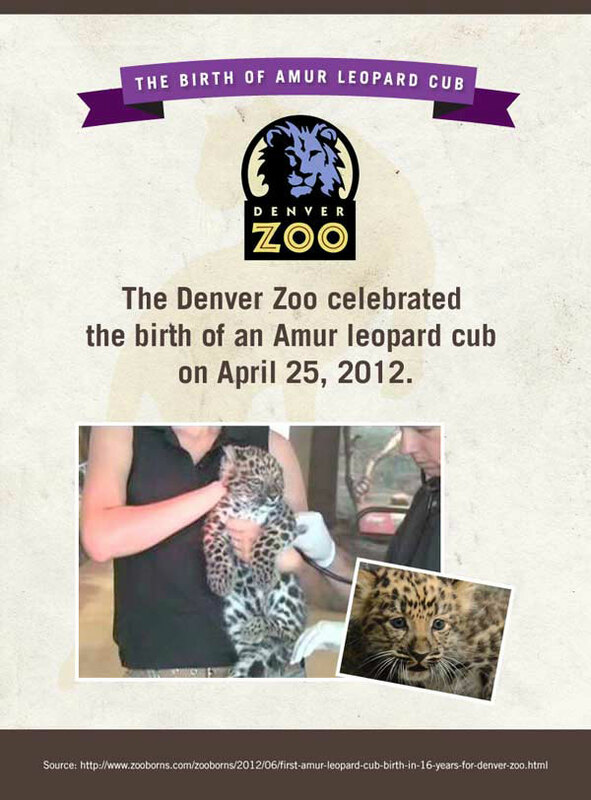 The young male cub, named Markar, was the first birth of his species at Denver Zoo since 1996. Amur leopards are considered critically endangered with fewer than 40 animals remaining in the wild. When I grow up, I'm going to be... pink! 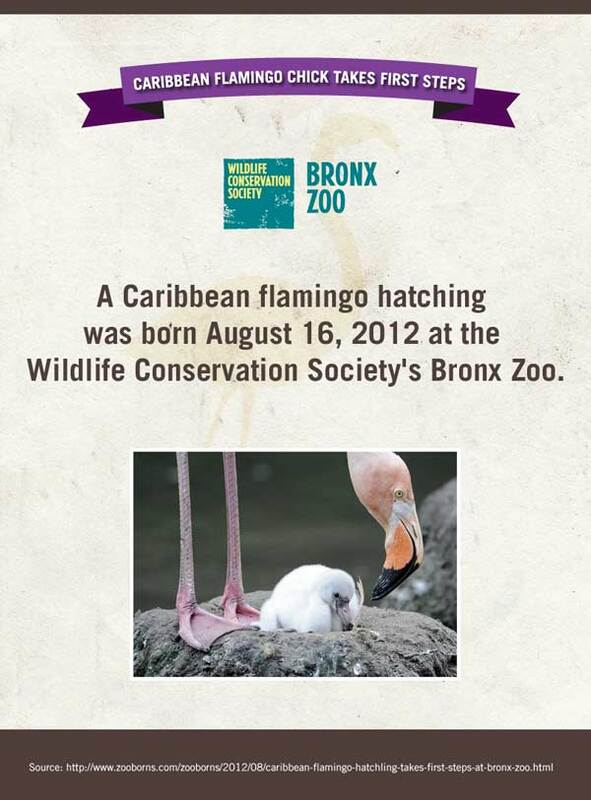 Flamingos are hatched with white downy plumage. They develop a trademark pink coloration from pigments in algae, crustaceans and other invertebrates that make up their diet. Born to proud parents Zowie and Ollie, the baby armadillo was the size of a golf ball. One month later he was the size of a tennis ball. 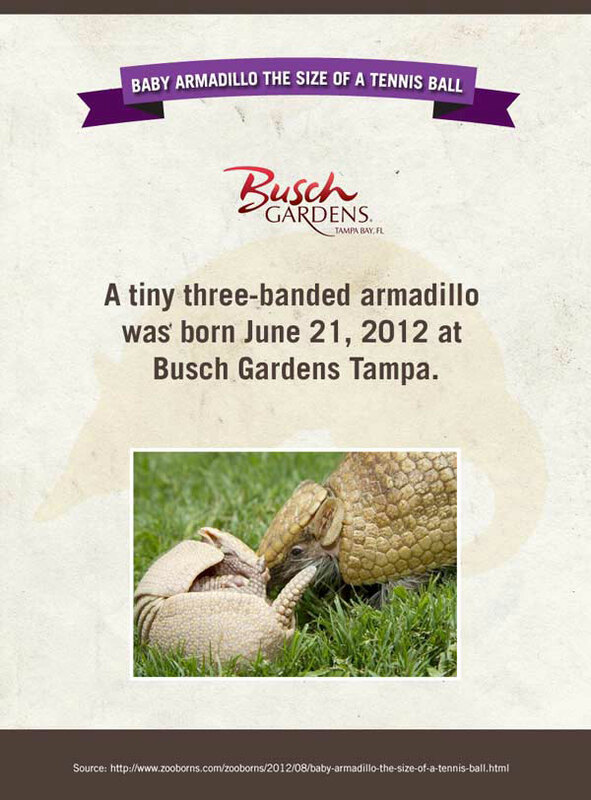 When full grown, adult three-banded armadillos are roughly the size of a softball.